Over the last 12 months Citiguard teamed up with Crime Stoppers NSW to share important crime prevention tips for home, events and business. With quick and easy to follow advice, the tips have been shared across Facebook and have been embedded below. Crime Stoppers NSW is an independent non-profit organisation that relies on partnerships to prevent crime. Crime Stoppers Australia is the lead coordinator of the state & territory organisations, all working together with media, police and the community for a safer Australia. 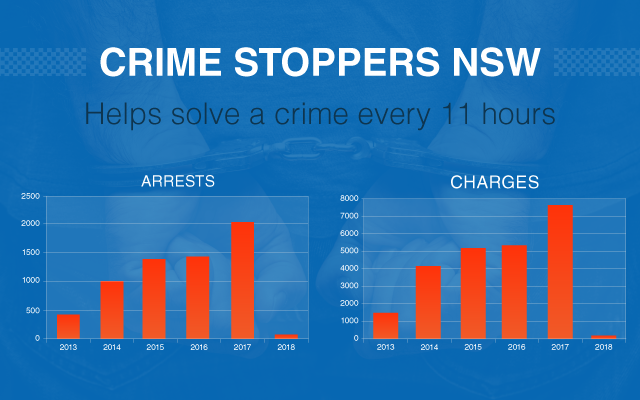 Crime Stoppers NSW helps solve a crime every 11 hours! If you have information that could help solve a crime please call 1800 333 000 or report online anonymously if you wish. Share this post and spread the word on crime prevention so you and those you care about don’t become victims. If you need assistance with any aspect of security in Sydney then get in touch with Citiguard today!